There are countless quotes on forgiveness, the majority of which have the same fundamental message — forgiveness is for ourselves and it is what allows us to move forward and achieve happiness. While there is no doubt that forgiveness is a good thing, and is the way to move forward, what does forgiveness really mean and how is it achieved? Even though we say the words “I forgive” — have we truly forgiven, let go, and moved on? We have all been in a situation where we have had to forgive someone. Sometimes it is for something small, where forgiveness and moving on is easy and we never give a second thought to that incident again. Other times, it is in a more hurtful situation, when it is not so easy to simply say the words and move on. I have too often seen and personally experienced the countless situations where we say we have forgiven someone, only to rehash resentment and hurt at a later date. I have also experienced “conditional forgiving” where we forgive people with conditions, and when they don’t act a certain way or meet our expectations, it “triggers” old wounds — ones that we supposedly forgave and let go of. I have come to realize that if we are rehashing old wounds and resentments, or forgiving conditionally, we haven’t really let go or moved on. 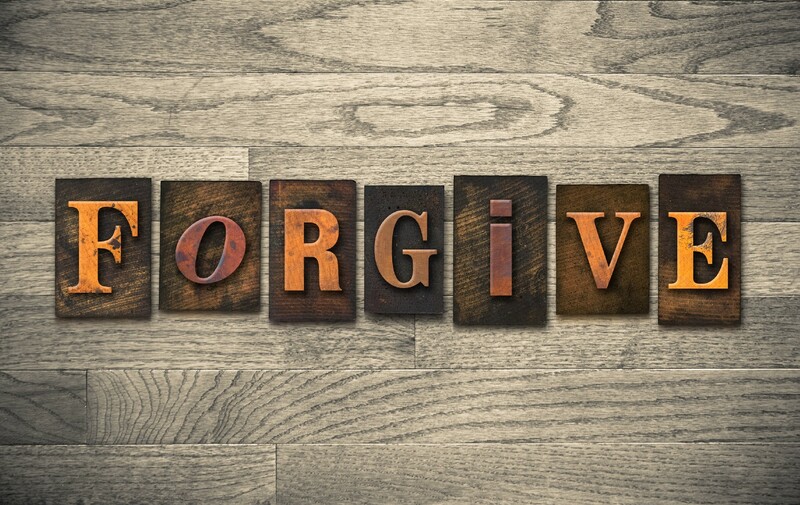 So, what does forgiveness mean and how can we accomplish it successfully? What I have learnt over the years is that forgiveness has different meanings to different people and can mean different things in different situations. What I know for sure is that forgiveness is essential in letting go and being happy, but it is a process, it is not something that happens just because we say the words. It is truly an art — each time is unique and it is a process before you master it. State it or express it — Start by stating your intent to forgive. You may not truly feel it at that moment or know how you are going to do it, but at least you have declared your intent, which is the beginning of the forgiveness process. What are you forgiving? Sometimes we just say I forgive you, because we are supposed to. We often do this without truly reflecting on what we are forgiving for, are we ready for it, and do we know how we are going to do it. When we forgive without true reflection on what someone has done, why someone has done it, and its impact on you, forgiveness won’t last, as you truly won’t let go and be free from it. Exercise compassion — “Compassion is the antidote to anger, resentment, and fear” — Gabby Bernstein. When you understand where someone else is coming from and their perspective, it is easier to forgive and let go. Hurt people hurt other people, I don’t believe people set out to hurt others or feel good in doing so. Having compassion does not mean what someone has done to you is acceptable, it means you choose love instead of anger and resentment. Reflect on what forgiveness means in each situation. One of my favorite meanings of forgiveness is from Oprah Winfrey “Forgiveness is giving up the hope that the past could be any different”. Forgiveness can mean different things to different people and in different situations. There is no right or wrong in what it means or how one chooses to handle it. What is important is that no matter how you choose to handle it, you forgive and let go, so that it is no longer hurting you, or preventing you from rising to your highest. How are you going to forgive — How do you let go and move on, and how does that impact your relationship with the person who hurt you. Are you going to let go of what they said or did and continue with your relationship? Do you need to confront that person and express how you feel, or is best that this person is no longer a part of your life? Perhaps they are a family member or you have children with them, so you can’t completely cut them out of your life, but instead you set boundaries in your relationship. How you handle it can be different in each situation but what is important is that from within, you are at peace and have let go. Forgiveness is a process, it is not always instantaneous, it does not mean what someone has done is right, or that you must continue to be a part of their lives. The goal of forgiveness is to stop wondering why something happened and wishing it didn’t, let go, and move on, so you can rise up and live your life to its fullest potential.